Panasonic has expanded their TS-series of lifeproof cameras this year with two new models, one of which is the rugged DMC-TS5. The toughest camera they've released to date, the TS5 is not only Waterproof down to 43 feet, Shockproof from a 6.6 foot fall, Crushproof up to 220 pounds of pressure, Freezeproof down to 14 degrees Fahrenheit, and Dustproof; but it's also packed with some awesome features that will help you capture and share your photos. In the photo department, the TS5 boasts 16-megapixels of resolution via a high sensitivity image sensor, coupled with a high-quality Leica 4.6x optical zoom lens that is completely housed in the camera's body. 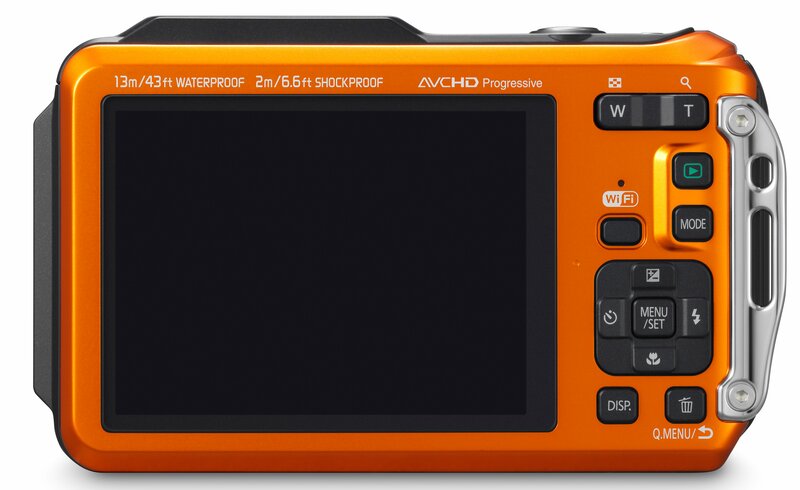 The new Venus Engine processes the images captured, and also allows you to capture AVCHD 1080p HD video. Intelligent Auto helps you capture the best photos possible in a variety of shooting situations. Now, to get these photos to your Facebook page, all you need is access to either a Wi-Fi hotspot, or an Android or iOS powered smart phone or tablet. With their new NFC functionality, combined with the Lumix mobile remote app, you can also control your camera remotely, using your smart device as the live viewfinder; very cool. Various exposure options, including Intelligent Auto, Program AE, etc. 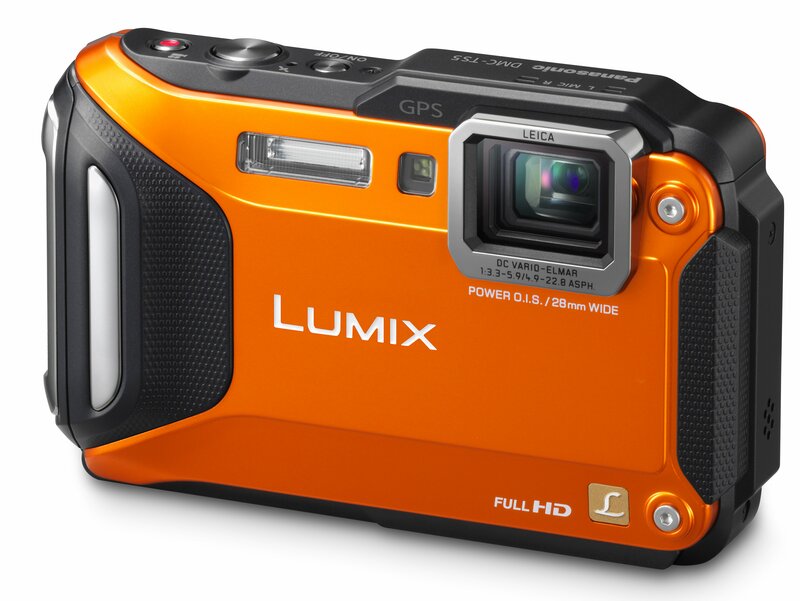 The Lumix TS5 will come in Orange, Blue, Black or Silver, and should start shipping at the end of March, 2013. Pricing is to be announced at a later date.